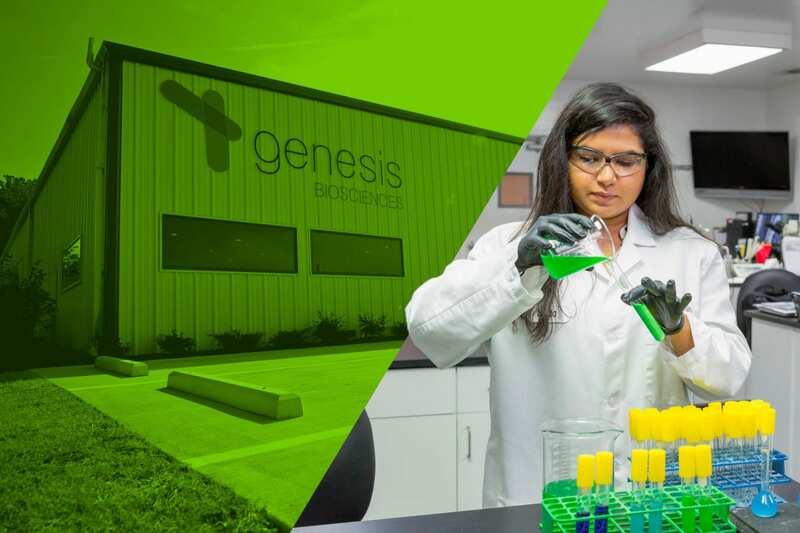 Our Genesis Biosciences team – across both the US and the UK – have a combined expertise and experience that makes them a force of (scientific) nature in our industry – find out why. Working under various areas of expertise, covering Bacillus fermentation, microbial expertise, and technical compliances, our staff excel at ensuring we lead our industry with unrivalled prowess and integrity. In the US and Europe, our laboratories and research and development facilities are staffed with the most highly qualified chemists, microbiologists, fermentation specialists and engineers, including several PhD scientists, that make up the Genesis Biosciences team. Eddie Ramirez (Fermentation Supervisor) comes from a lengthy career in fermentation, microbial process engineering and biosciences and is key in meticulously leading our high quality fermentation practices and fermentation team. Eddie’s devoted focus to vital CIP, SIP, and downstream processing procedures ensures superior quality, purity and expected spore counts from each fermentation cycle. From monitoring all key components of the fermentation to optimizing growth parameters and mechanical operation, preventative maintenance and troubleshooting, Eddie is essential to the continued success of the Fermentation department. For Louis Davitt (Fermentation Manager), ensuring our fermentation processes are scientifically sound, closely monitored and thoroughly documented is essential. Alongside his important management duties as a member of our elite management team, Louis focuses on innovation and new ideas for the company, specifically for our fermentation processes, new strain discovery and optimization, and microbial product improvement to ensure our company is constantly striving for scientific greatness. He utilizes his educational focuses in biological chemistry, industrial microbiology, and bacterial genetics, along with his years of hands-on experience in Bacillus fermentation and expert understanding of microbial behaviors to keep us at the forefront of the industry. Working closely with our Compliance team and Microbiology lab, Louis oversees all validation points within our fermentation processes and ensures our standard operating procedures and pharmaceutical-level batch records are never compromised. In the UK, Dr. Phil Caunt brings over 30 years of fermentation and applied microbiology expertise and is an integral part of our highly skilled R&D team. Dr. Caunt is responsible for research and development of our benchmark anti-microbial and microbial technologies as well as providing comprehensive technical support to our customers, commercial and fermentation teams on a daily basis. We’re proud to say there’s a team of fantastic, highly-scientific minds behind our award-winning formulations. Dr. Chris Charles (Research Scientist) has a distinguished academic biosciences record, from a 1st class honours in Molecular and Cellular Biology, to a Master of Research Degree (MRes) in Sustainable Aquaculture and Fisheries and a PhD in the metabolic pathways of microbes (which generated important publications in notable scientific journals including Nature, and won him the front cover of Applied and Environmental Microbiology). Combining this academic knowledge with extensive applied Microbiology and Engineering experience within the wastewater sector. Dr. Charles is using the latest Molecular and Genomic techniques to carry out research into the application specific and secondary metabolite capabilities of our Bacillus strains and spearhead the development of innovative microbial technology for the wastewater treatment sector. Our hard-working Research & Development Scientist Katie Edwards uses her academic experience on the biochemical and structural basis of molecular, cellular and developmental processes alongside her strong laboratory and research skills to develop our disruptive natural anti-microbial technology and product line extensions. To further enhance her already extensive microbial knowledge base, Katie is about to undertake a PhD sponsored by the company. From an impressive academic career learning extensive laboratory techniques and applying computational QSAR methods to propose a new group of antibiotics, as well as researching green technology, our employee of the year 2017 and Microbiology QC Supervisor Nadia Meghjani applies her broad scientific experience in running bioassays and microbiological techniques to conduct in depth validation checks on our in-process fermentation specimens and final spray dried powder throughout the fermentation process. As our meticulous QC Microbiologist at Genesis Biosciences, Ashley Irizarry is responsible for the spore analysis of our batches through proper and documented enumeration methods and environmental screenings to ensure our customers receive the purest products on the market. Ashley takes great pride in her aseptic techniques when performing our required procedures and easily lives up to our claim that she is the “cleanest person on earth”. Ashley leads our stability analysis on our Bacillus inventory ensuring accurate spore counts are used in every batch. And due to her painstaking attention to detail, she is part of an elite club of three that meets our qualifications to be a technical reviewer of our fermentation batch records and documentation. From Cryotube to finished product, Nadia, Ashley and the Microbiology team ensure the highest quality specifications are maintained at all times. Our highly experienced and industry revered Chemist Mauricio Amaya (VP of Technical Services) plans, manages, and directs all laboratory and scientific activities, technical support and services at our US division, whilst providing a foundation of technical support for all departments within the company with a focus on quality, product performance, and sales/revenue generation. 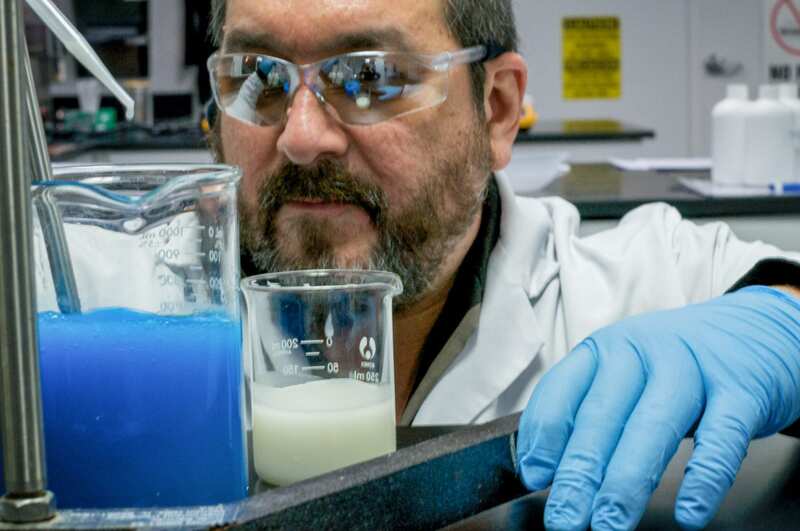 In tandem with our UK R&D team, Mauricio is responsible for innovative product development utilizing our microbial and eco-benign® chemistry technologies and expertly trains our staff and customers on proper product applications. His unique ability to combine chemistry and microbiology with a focus on superior performance is unrivalled in our industry. Dr. Emma Saunders (European General Manager) and Dr. Bhat (US Master Technologist), also bring a broad portfolio of scientific expertise from biotech, pharmaceutical and academic gene research businesses to ensure our processes and products continue to raise the bar within the industry, ensuring that we maintain and aim to exceed the high levels of quality, performance and service our customers have come to expect. 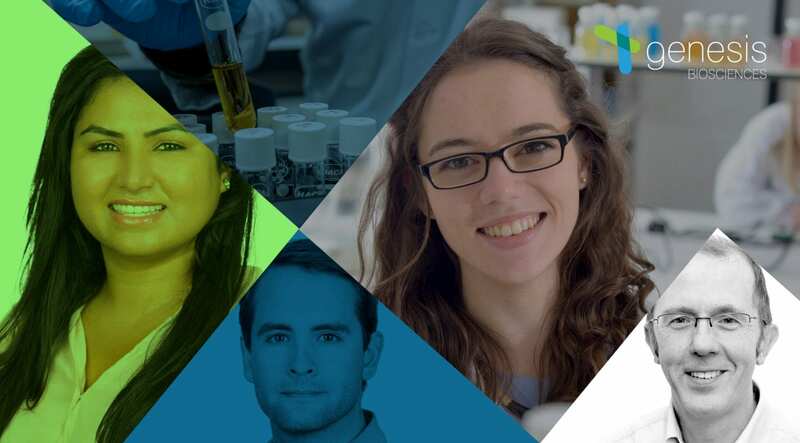 With a combined technical and regulatory/compliance experience and expertise of over 100 years, our US and UK Genesis Biosciences teams have worked extensively within their field for decades. In the US, Ana Kewes (Regulatory Affairs/Safety Specialist) brings 25 years’ experience of FDA compliance, from her career as a Consumer Safety Officer – with 14 years of that experience focused on medical device Quality Systems inspections. With former roles within the US Army Corps of Engineers (utilizing environmental remediation of formerly-used defence sites) and the Illinois Environmental Protection Agency, Ana’s knowledge and experience is paramount to our company success. As we gear up our facility to approach FSMA (Food Safety Modernization Act), our technical compliances team headed up by our Group Compliance Officer Debbie Williams, are busy working hard to ensure we can easily meet the criteria. With over 25 years of fermentation and microbiology experience, Debbie has an in-depth knowledge of microbial characterisation, fermentation and production processes, making her adept at overseeing and monitoring all of our quality and production processes. 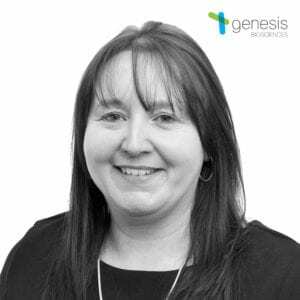 In the UK Debbie meticulously manages the production of microbial and antimicrobial products, keeping a close eye on all processes and procedures to ensure that Genesis deliver the best products and service to customers at the right cost and quality. In her company-wide compliance role Debbie not only manages adherence to the QMS and EMS (ISO 9001 and 14001 Management systems) across all of our facilities, but she is the driving force behind achieving ISO22000 compliance, underpinning the company’s commitment to quality and safety. Under Debbie’s direction Lauren Freckleton and Natasha Russ (QC/Laboratory Supervisor) manage our European quality control activities, ensuring that our products meet the highest Quality Control specifications at all times. While our experienced Chemist and Preventive Controls Qualified Individual (PCQI), Betsaida Santos (Chemist II) plays a key role on our US compliance taskforce, applying her wealth of analytical experience to complete hazard analysis and critical control points determination. Our growing Genesis Biosciences team has over a century of experience in fermentation, microbiology and regulation/compliance. This adds up to make an industry-leading team that works together to create a positive impact on our environment and society through research, innovation and high quality solutions. 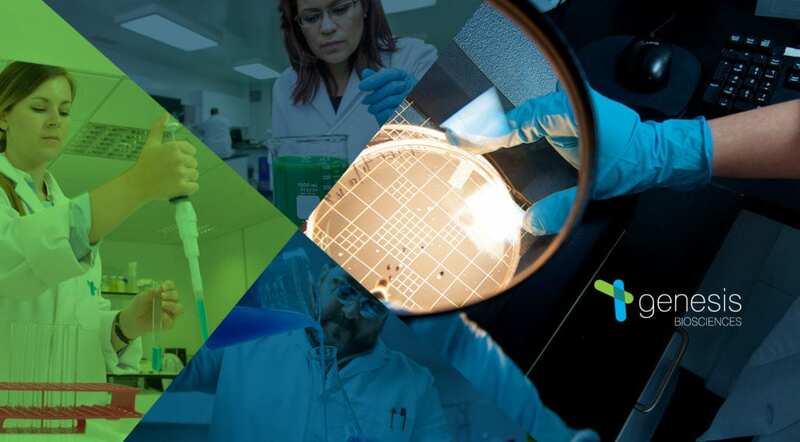 Our continued investment in our quality, our people and performance is at the heart of Genesis Biosciences, with our team – our greatest asset – leading the way in the fermentation and microbial industries. If you have any questions regarding the Genesis Biosciences team or what we do, please don’t hesitate to get in touch. Very impressive!!!!!!!!! I have been dealing with Genesis for twenty-plus years and now I can place faces with the product we purchase. I have always felt confident that Genesis would provide quality products and after viewing the recent email it further cements my trust in Genesis. Thank you. Tengo trabajando con los productos de Genesis desde hace 15 años, estamos comprometidos con la calidad que ofrecen, estamos convencidos de que son los productos microbianos que dan al consumidor la mejor solución a las necesidades de limpieza y al tratamiento de las aguas residuales, les damos las gracias desde Colima,Mexico.